December, 16th 2005 - He received the second best thesis award from "Taranto, ieri, oggi e domani" association, Ed. 2005. October 2003 - He received a degree with full marks in Computer Science from the University of Bari. He discussed a thesis on "Extension and optimisation of a machine learning system to build recursive theories from examples". Following graduation, he kept on making research in machine learning and data mining in the Knowledge Acquisition and Machine Learning Laboratory (LACAM). November 2003 - He started the Ph.D. Course in Computer Science at the Dipartimento di Informatica, Università degli Studi di Bari (Italy), under the supervision of Prof. Malerba Donato. 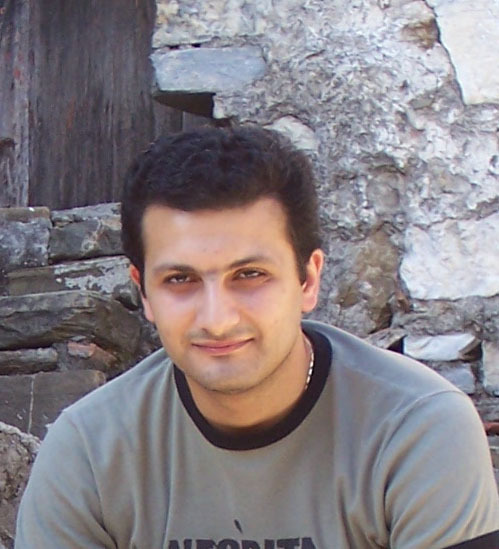 The topic of his thesis concerns the applications of machine learning techniques for environmental modeling. Academic year 2005/2006 - Teaching in the Supplementary course on Programming Languages + Lab., Degree in Computer Science and Digital Communication. Academic year 2005/2006 - Tutoring in the Advanced Data Bases course (lab. ), Degree in Computer Science. Academic year 2005/2006 - Tutor of the Degree in Computer Science and Digital Communication. Academic year 2005/2006 - Tutoring in the Computer Architecture course (lab. ), Degree in Computer Science and Digital Communication. Academic year 2005/2006 - Tutoring in the Programming course (lab. ), Degree in Computer Science and Digital Communication. Academic year 2004/2005 - Tutor of the Degree in Computer Science and Digital Communication. Academic year 2004/2005 - Tutoring in the Database course (laboratory), Degree in Computer Science. Academic year 2004/2005 - Tutoring in the Database course (laboratory), Degree in Computer Science and Digital Communication. Academic year 2004/2005 - Tutoring in the Software Engineering course (laboratory), Degree in Computer Science and Digital Communication. Academic year 2003/2004 - Tutor of the Degree in Computer Science and Digital Communication. Academic year 2003/2004 - Tutoring in the Programming Languages course (laboratory), Degree in Computer Science and Digital Communication. Ateneo-2005 project on "Unstructured information management: models, methods and architectures". Ateneo-2004 project on "Methods of multi-relational data mining for knowledge discovery in databases". His main research activity is in environmental modeling, i.e., in the investigation of data mining and machine learning techniques to support the building of mathematical models describing environmental phenomena. In particular, he focuses his studies in the spatial clustering, a data mining task that aims at detecting clusters of homogeneous spatial objects. He has been working to the application of machine learning to recursive theories induction. He is interested in applications of data mining and machine learning techniques to modeling. Spatial Clustering of Structured Objects. Oronzo Altamura, Margherita Berardi, Michelangelo Ceci, Donato Malerba & Antonio Varlaro. Using colour information to understand censorship cards of film archives. In: International Journal on Document Analysis and Recognition (in press). Donato Malerba, Annalisa Appice, Antonio Varlaro & Antonietta Lanza. Spatial Clustering of Structured Objects. In S. Kramer & B. Pfahringer (Eds. ), Inductive Logic Programming ILP 2005, Lecture Notes in Computer Science, 3625, 227-245, Springer, Berlin, Germany. Bonn, Germany, August 10-13, 2005. Margherita Berardi, Antonio Varlaro & Donato Malerba. On the effect of caching in recursive theory learning. In R. Camacho, R.D. King, & A. Srinivasan (Eds. ), Inductive Logic Programming ILP 2004, Lecture Notes in Computer Science, 3194, 44-62, Springer, Berlin, Germany. Porto, Portugal, September 6-8, 2004. Annalisa Appice, Antonietta Lanza, Donato Malerba & Antonio Varlaro. Homogeneity Evaluation and Seed Selection in Clustering Graph-Connected Spatial Data. To appear in P. Frasconi, K. Kersting & K. Tsuda (Eds. ), Proceedings of the MLG Workshop on "Mining and Learning with Graphs", Firenze, Italy, August 1-3, 2007. Annalisa Appice, Antonietta Lanza & Antonio Varlaro. Spatial Clustering of Related Structured Objects for Topographic Map Interpretation. In G. Andrienko, D. Malerba, M. May & M. Teisseire (Eds. ), Proceedings of the ECML/PKDD 2005 Workshop on "Mining Spatio-Temporal Data (MSTD)", 9-21, Porto, Portugal, October 3, 2005. Antonio Varlaro, Margherita Berardi & Donato Malerba. Learning recursive theories with the separate-and-parallel conquer strategy. In J. Fuernkranz (Ed. ): Proceedings of the ECML/PKDD 04 workshop on "Advances in Inductive Rule Learning", 179-193, Pisa, Italy, September 20-24, 2004. Antonietta Lanza, Donato Malerba, Annalisa Appice & Antonio Varlaro. Knowledge Discovery from Maps for Environmental Protection. In H. Voss & M. Wachowicz (Eds. ), Notes of the KDNet Workshop on "Knowledge Discovery for Environmental Management", Bonn, Germany, June 3-4, 2004. Antonio Varlaro, Annalisa Appice, Antonietta Lanza & Antonio Fittipaldi. On Homogeneity Evaluation and Seed Selection in Clustering Relational Data. In M. Ceci, D. Malerba & L. Tanca (Eds. ), Proceedings of SEBD 2007 - 15th Italian Symposium on Advanced Database Systems, 471-478, Torre Canne di Fasano (Brindisi), Italy, June 17-20, 2007. Antonio Varlaro, Annalisa Appice, Antonietta Lanza & Donato Malerba. An ILP Approach to Spatial Clustering. In Proceedings of CILC 2005 - Italian Conference on Computational Logic, Roma, Italy, June 21-22, 2005. Antonio Varlaro, Annalisa Appice, Antonietta Lanza, Donato Malerba & Giuseppe Guarnieri. Relational Clustering with Discrete Spatial Structure. In A. Calì, D. Calvanese, E. Franconi, M. Lenzerini & L.Tanca (Eds. ), Proceedings of SEBD 2005 - 13th Italian Symposium on Advanced Database Systems, 149-160, Bressanone (Bolzano), Italy, June 20-22, 2005. Antonio Varlaro, Margherita Berardi & Donato Malerba. Improving efficiency of recursive theory learning. In E. Panegai & G. Rossi (Eds. ), Proceedings of CILC'04 - Italian Conference on Computational Logic, Quaderni del Dipartimento di Matematica - Università degli Studi di Parma, 220-234. Parma, Italy, June 16-17, 2004.